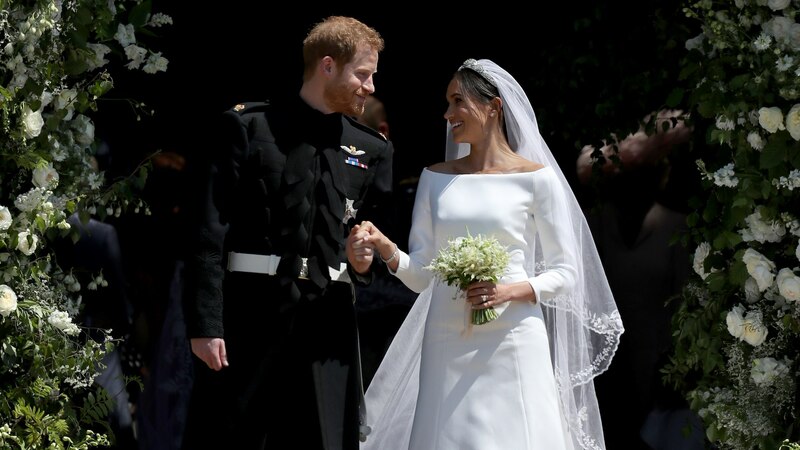 She’s only been an official member of the royal family for one week, and already, Meghan Markle, now the Duchess of Sussex, has a royal coat of arms. 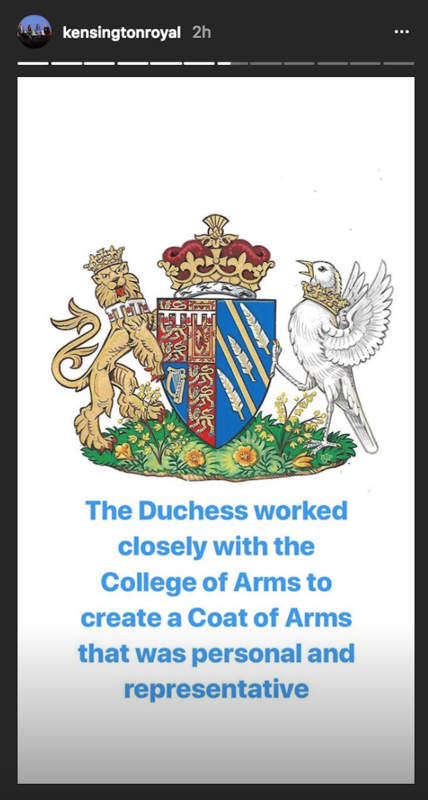 The coat of arms was announced and debuted on the Instagram account for Kensington Palace, and we’re not gonna lie: It’s so, so gorgeous. 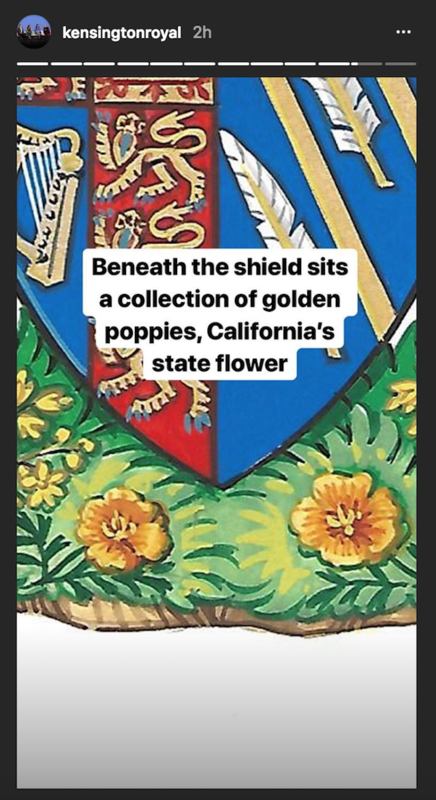 Not only did Kensington Palace show off the beautiful coat of arms in a dedicated Instagram post, but they also went through the imagery in the coat of arms in their Instagram Story, breaking it down for viewers. 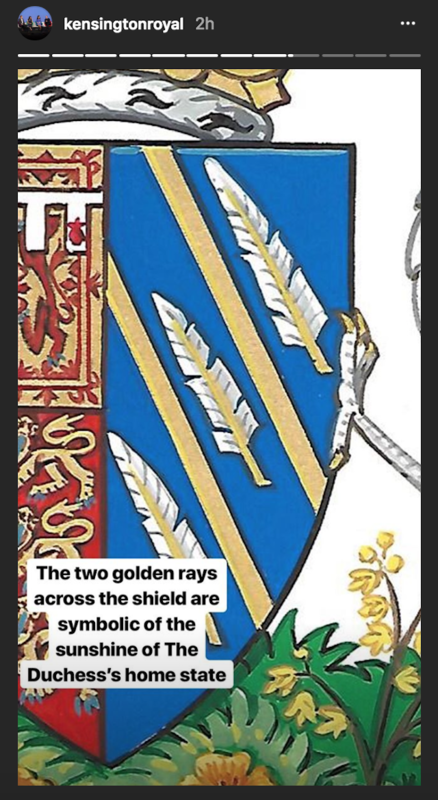 Keeping in the California groove (the state that Meghan once called home), there’s a comment about how the two golden rays seen on the blue side of the shield represent the sunshine that is plentiful in California. Meanwhile, the three quills that you see in between the rays of sunshine represent communication and the power of words — things that Meghan, as a former actor and now philanthropist and humanitarian, knows all about. 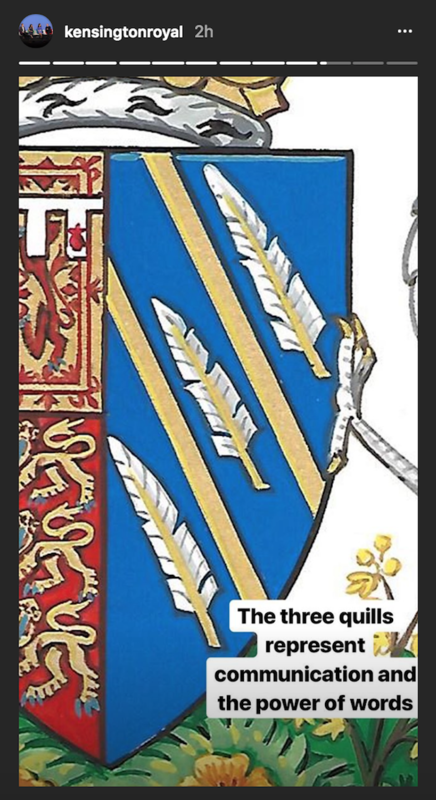 Now that she’s a member of the royal family, Meghan is not going to be issuing a personal statement about her coat of arms (that’s all handled through palace reps if and whenever necessary). 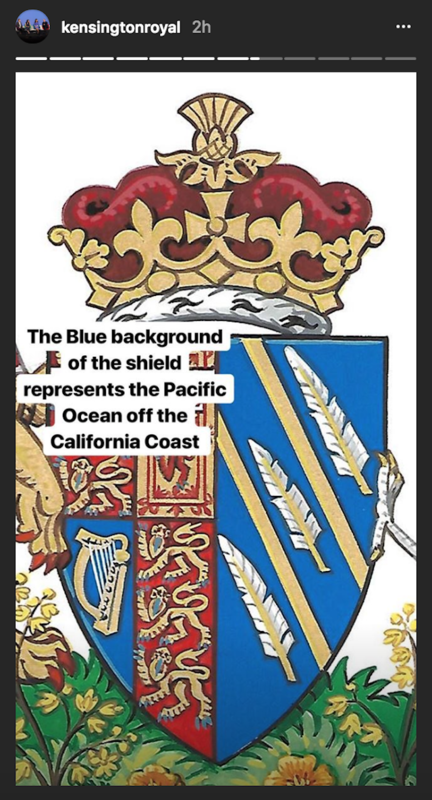 That said, seeing all of the thought and detail that was put into this coat of arms makes it clear that even though she is so far from home, Meghan will always carry a piece of her life as a California native with her wherever she goes.